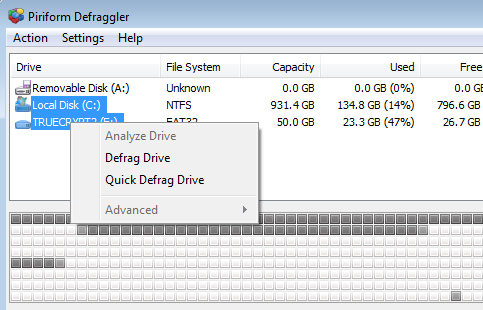 It is not possible to defrag multiple drives at the same time. However, with Defraggler, you can set defrags to run consecutively (one after another) by holding down the control key and pressing the drives in the drive list in the order you'd like them defragged. Then just press Defrag.